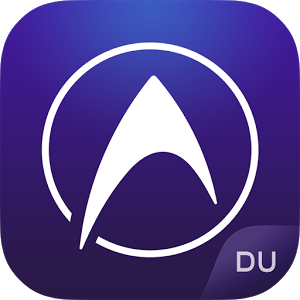 DU Speed Booster & Cleaner is the only all-in-one speed booster, trash cleaner and antivirus app that optimizes your background apps, memory space and junk(cache) files. While keeping your device safe from virus and trojan, that can secure your private data with the AppLock function. 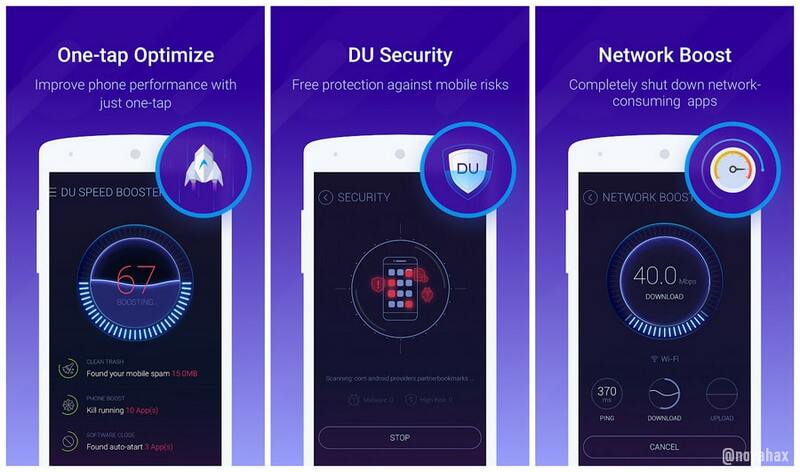 It will help you master and optimize your background apps, memory space, junk (cache) files and battery power, as well as inspect apps permissions and secure your phone from viruses. Protection technologies against viruses, adware, malware, trojan and more. Continuous monitoring temperature changes, detects apps highly consuming CPU and starts a cooling progress, effectively reduce the phone temperature. 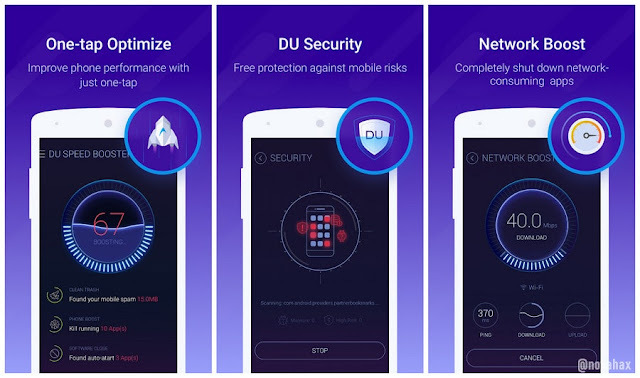 DU Battery Saver is A light but smart battery saver app with 5+ years of experience and expertise that can extends your battery life up to 80%🔋.